The first phase of the alpha process has now been released, backers with the Alpha access reward tier or higher will be contacted directly with the details they need to download and play the first Alpha release. If you’re eligible and haven’t received our email then please contact edbackers@frontier.co.uk and we can sort it out. 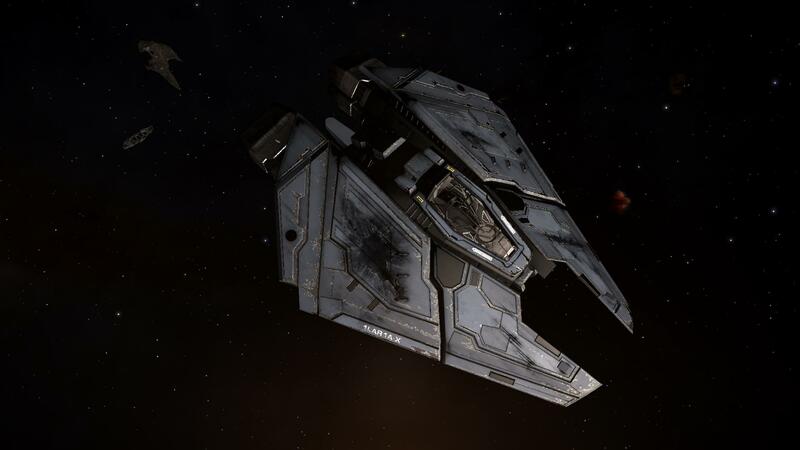 The latest Elite: Dangerous Dev diary has also been released, in it David talks about the Phase One – Single Player Combat alpha build as well as showing some clips captured from the build. Over the coming months new features and content will be made available; we’ll announce further details as we progress through the alpha process. If you’re not taking part in the alpha then keep your eyes on your inboxes for the next newsletter (coming soon!) which will feature the single player combat build in more detail. 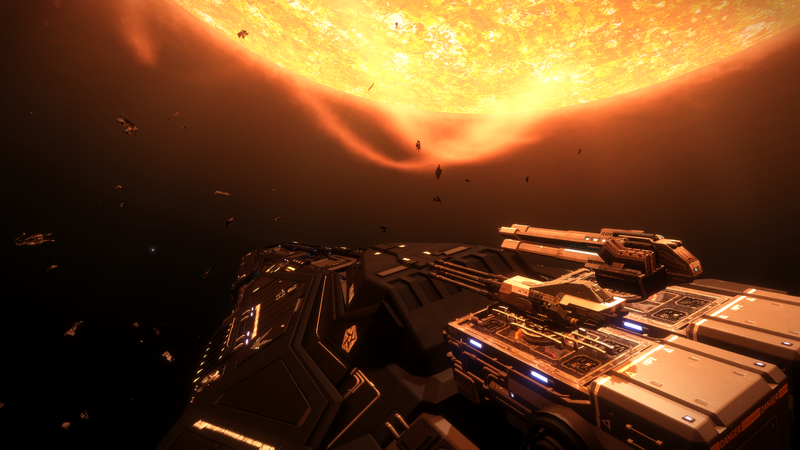 From the store you can pre-order Elite: Dangerous and purchase early access in the Alpha and Beta periods. We’ll add more exciting products to the store over the coming months. Thanks for reading and until next time ... Right on Commander! Frontier Developments, Pēteris Krišjānis, and 46 more people like this update. Whats the ETA on the first round beta? Is it still on for some time in January? This is amazing update, even though I don't have access to alpha but hell yes for Oculus Rift and Track IR support already added. New Year and start of Beta... I hope ;) Can't wait! Well I wish everybody Happy New Year. Just in time for the holidays we have a new alpha build - Elite: Dangerous Phase 1.1 - Single Player combat, updated with new 3D features we are testing. The launcher client has also been updated, you should uninstall the client (you can do this through the uninstall link from the Start menu or through the Control Panel) and then install the latest client from the store as you did previously. After installing the client you should be prompted to upgrade the Elite: Dangerous installation and then follow the on screen prompts as before. We'd like to thank everyone for their feedback on the game so far – please remember if you encounter a bug or an issue we want to know about it! Report it through the Technical Support link in the client so we can track them. Have a Happy Holidays! The team is going to take a well-deserved rest now – although there will be people supporting the Alpha build should you run into any issues - and we’ll be back in the New Year with a bang! Kerrash - NICE :) Thanks!!! 1) Please make font size in menues adjustable - menues and fonts are much too big (console-like) in my opinion! 2) The HUD looks great, but why are the fonts on the HUDs left and right bigger (too console-like) than in the center (where it looks perfectly right)? 3) Please do offer detailed options like turning off the cockpit glass effects (ice effects may look nice, but not to my eyes)! 4) Please add real MSAA & SSAA to the Graphics options! 5) Please add choice of setup in the audio options (stereo, 5.1, 7.1, etc.)! 6) Please add EAX support (my X-Fi needs something meaningful to do...)! Thank you for these first impressions, please offer more (Trading, f.ex.) and please enjoy the holidays and take your time before the final release! The game footage looks AMAZING! I've just had time to log and download the Alpha. I see the comments below. What shuold I do since my account shows £200 when I pledged £300 for DDF. Is this ok or do I need to send an email to someone? I'm seeing the same as David. I show only Standard Beta pack in the new store account. David Main - "For those people in the £80 to £90 pledge range shouldn't they have the Expansion Pass on their account as well as the standard beta? It would seem that for some at least they only have the Standard Beta pack, myself included." @Frontier, I hoped to be able to up my pledge from £150 to the £200 to allow me to access the Alpha release. This isn't possible on the site, as I'm showing £100 quid and no upgrade option. As a lifelong elite player, very disappointed. Thanks for the hint about the shipping address. Didn't notice on my first visit, but now that I checked, my country had been set to the United Kingdom as well. For those people in the £80 to £90 pledge range shouldn't they have the Expansion Pass on their account as well as the standard beta? It would seem that for some at least they only have the Standard Beta pack, myself included. For people seeing a discrepency between your pledged reward and the store products this is because the store only shows certain products, Kickstarter rewards are not listed in the store, but they will still be processed at the appropriate delivery points. They announced the backer app page would be closed in the "Elite: Dangerous Progress Diary #8" (Nov 27th) on Kickstarter (also repeated in the "Project Update #56" email from Kickstarter), as well as "Elite: Dangerous Newsletter #14" email (Nov 24th) from Frontier. Whether you consider (approximately) 2 weeks notice sufficient is another story, but I guess they'd argue you'd had nearly a year to add to your pledge! I wish I'd known you were closing down the app page so that I could have upgraded my pledge over Xmas. I guess I must have missed an update? Hmmmm, I can't login on backer's app either :) Ok, I will ping them next week, not that much importance right now. @Christian: I guess write to edbackers@frontier.co.uk then about this problem. The pledge store shows me the wrong amount as well. The link from Frontier also doesn't work for me. http://store.zaonce.net/ did, though. Store only shows compatible products, so your charge there is trimmed down, so no worries, everything's fine, all your pledge rewards are safe, and you can still log in in old Backer's App (using link in top right corner) to verify them. Same problem here: 80 GBP pledge, but store shows only 50 GBP. I've used the contact form on the page to report this - lets see what happens. Also backed £42 listed as £30. Oculus should give you guys pizza or something because I'll be all over a retail Rift for this game! Same problem as a couple of others here: I backed at the £40 level but the store only has me down at the £30 level. Yeah, I backed at the £42 level, but the store has me down at £30. Add me to that list. do we need to contact support, or just wait? ok, it seems a few affected so far then! @Antony - Similar thing with me - see below. I've emailed support@zaonce.net to see if they can help. Hmmm, anyone else pledged £150 but appears as £100 in online store? Also thought as I'd pledged £150 that I might be able to add £50 to get the Alpha?? I pledged for £90 for the boxed edition, but the store page is only saying £50 for the beta. I presume this is a mistake, unless the box is an addition coming later?? If you contact support@zaonce.net they can help you further. The new site demands I "Please select your country of residence from the dropdown menu below. ", except there is no dropdown box. Anyone willing to post their PC specs and fps they're getting on the alpha so we poorer backers get an idea of what we'll need come March time? Apparently they are aware of the problem and estimate that it will be a 3 hour fix. 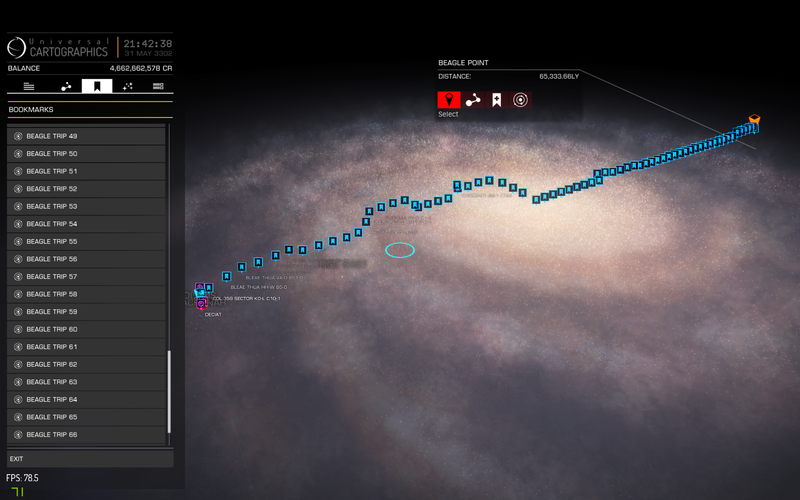 No problem - I have waiting many years for Elite, a few more hours is no problem! Shame - can't log into the store and the reset link refuses to allow me to change the password! I have sent a support email to Zaonce so I hope it gets sorted soon! Wow, I completely forgot the estimated release date was March 2014. That really IS soon! While I don't expect that to happen, I'm pretty excited. We're focused on the Alpha at the moment and will take what time we need to finish that in a state that we're happy with and will then move onto the beta.